What’s the story behind The Thrifty Stitcher? Claire-Louise Hardie has had a long career as a Theatrical Costumier, both making costumes and touring the globe as a Wardrobe Mistress. She has been the Sewing Producer to The Great British sewing Bee on BBC 2, for the last 3 series. In 2009, after helping many friends and family with their sewing, Claire-louise realised that sewing isn’t something that everyone knows how to do. 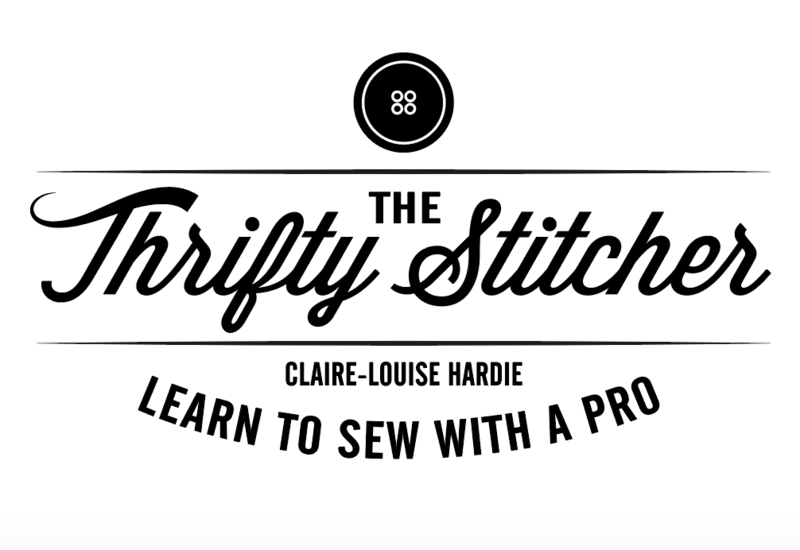 After discovering that sewing is no longer taught in schools, and being interested in sustainable fashion, Claire-Louise enlisted her friend Alex and they launched beginners sewing classes at The Thrifty Stitcher. How do I book a sewing class? On each class page there is a booking form from a booking system called Eventbrite. Fill in this form and you’ll be directed to paypal to make your payment. You don’t need a Paypal account to make a payment for a class. When directed to the paypal site, select the “Don’t have a Paypal option” This allows you to make a payment with your credit or debit card. All classes are non-refundable. This is because we have very small groups, and it means we often have a waiting list for classes so last minute cancellations cost us money. We do understand that life can throw a curve ball, so if you let us know with more than 7 days in advance we will try and reschedule you if there are dates available. Please read our terms and conditions before booking, and take a minute to check your own diary before booking. I’m an absolute beginner, are your sewing classes suitable for me? Our full day Starting from scratch class is perfect for any beginner who has never sewn or picked up a needle. This class covers the real basics like threading a needle, sewing on buttons, gathering and includes an afternoon getting to grips with a sewing machine. 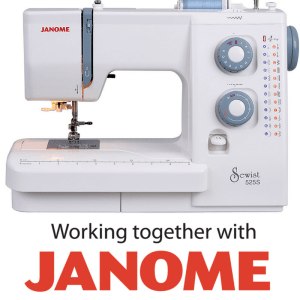 If you can already hand-sew, but have never used a sewing machine, then the Half day beginners class is the one for you. At the end of the session, you’ll have a fabulous finished project, and will be comfortable winding a bobbin, threading up the machine and using different stitches. I can already use a sewing machine, which sewing class should I choose? I can already sew but just need a couple of tips rather than a class, can you help? The best option would be to book a 121 personal tuition session which allows you to maximize your time in the studio with a tutor all to yourself. At a beginners class there are never more than 6 students. On any intermediate, or beginner plus sessions there are no more than 5 at any class. Our class numbers are deliberately small, maximising the amount of attention each student receives from the tutor. What should I bring with me to my sewing class? At all of our classes all the tools and equipment you’ll need throughout the class are provided. At our beginners classes all the materials are also provided. On some of the intermediate classes you’ll need to bring fabric and a zip, but this will be stated on the class description. Do you provide an alterations or dressmaking service? Sadly The Thrifty Stitcher only teaches sewing and doesn’t provide an alterations service, but we do have some seamstresses we can recommend here. I’d like to do a sewing class with friends and we have a specific idea, can you help? That’s a great idea, and we love arranging group sessions that are unique. Drop me an email with your idea, and a rough date and we’ll see if we can get that set up for you and your friends. Do your sewing classes lead to a qualification? Our sewing classes are aimed at people who’d like to learn to sew for fun, and don’t lead to any formal qualification at the end. I’m keen to get started making my own clothes, but don’t know where to buy fabric? All our students receive a complimentary copy of our “Little black book of sewing suppliers” after attending a class. You can see a few of our favourites suppliers here. Why not check out our Facebook page for supplier tips too? Can I buy fabric and haberdashery from you after attending a class? We don’t have a shop so sadly we can’t sell you any supplies, but can definitely point you to somewhere that can. Are your classes suitable for men and women? The classes are not at all gender specific, and we regularly have men attending our classes.